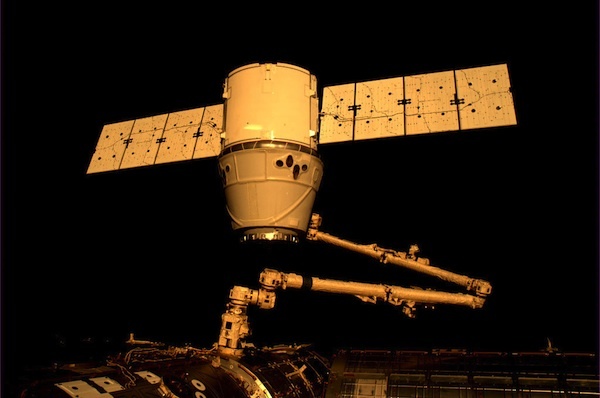 The International Space Station's robotic arm on Friday reached out and snared a cargo carrier built by SpaceX, making history after the privately-built Dragon spacecraft made a cautious laser-guided approach to the complex, becoming the first commercial spaceship to reach the massive scientific research facility. 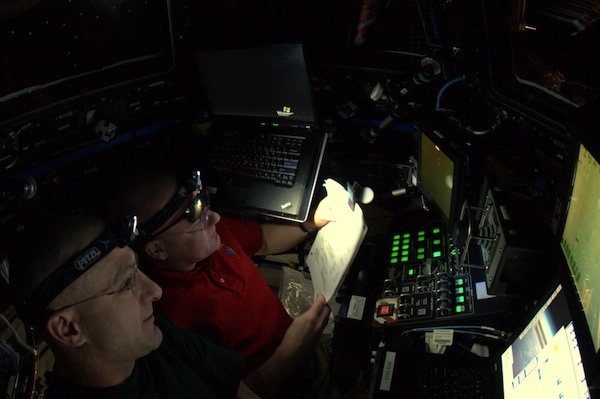 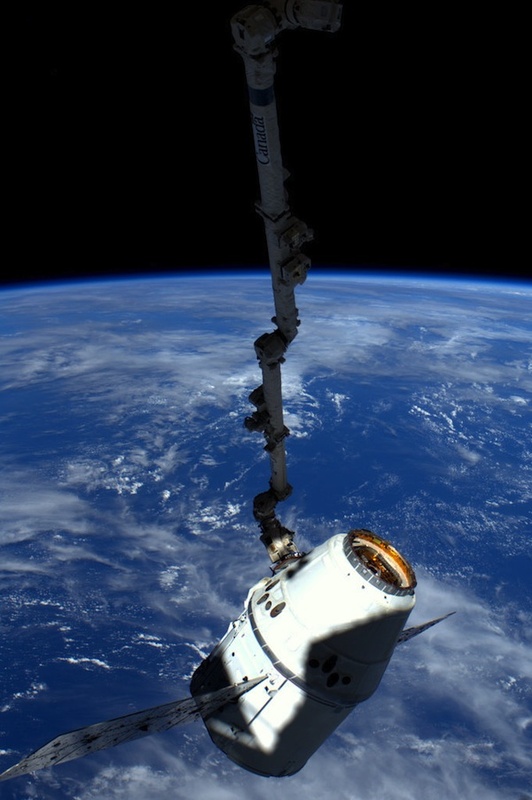 Astronaut Don Pettit at the controls of the station's Canadian robotic arm grappled the free-floating Dragon spacecraft at 9:56 a.m. EDT (1356 GMT) as it hovered about 30 feet below. 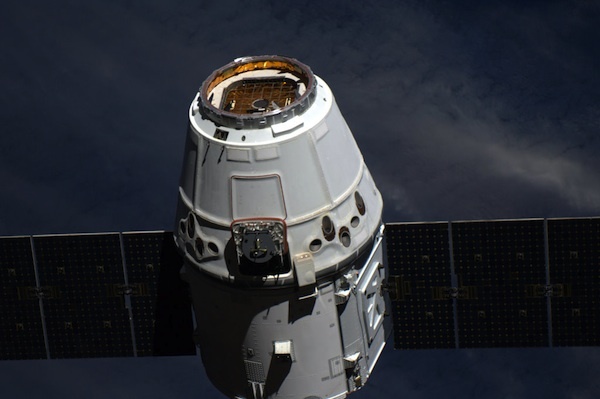 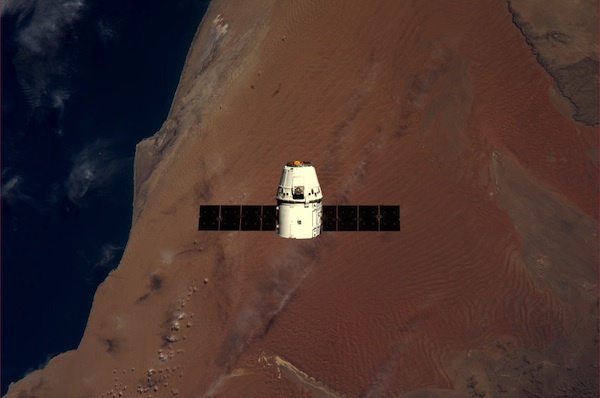 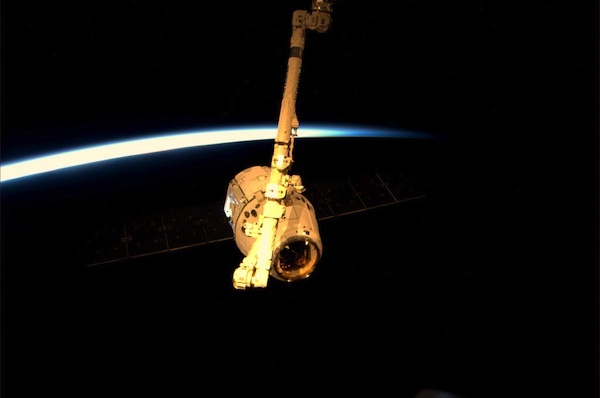 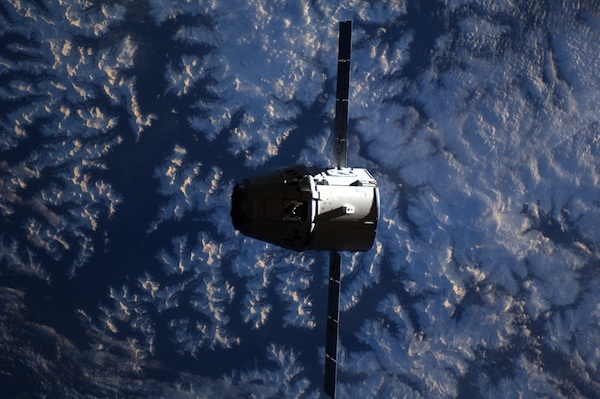 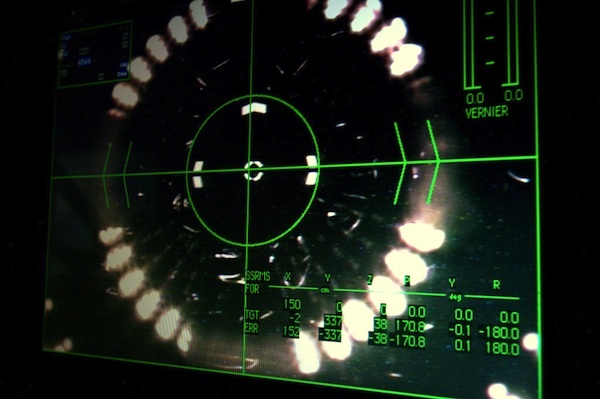 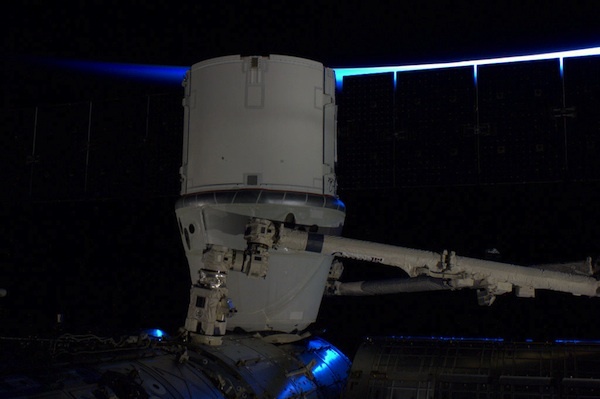 These photos show Dragon's final approach to the space station.